We are perfectly aware that apart from comfortable rooms, the cooking has the supreme importance for the successful holiday. 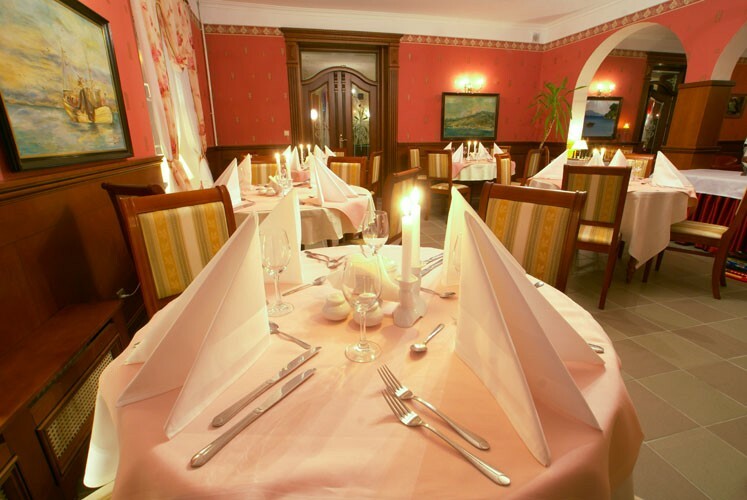 The beautiful interiors of our restaurant will make the dishes taste even better. What is more, pleasant and professional service will fulfill all your culinary wishes.Throughout the whole day and in the evening we invite you to the Lobby Bar. Here, while drinking a glass of wine or other drink accompanied by the sounds of the mood music, you can once again recollect a full of impressions day spent by the seaside.